In a previous post I looked at the shenanigans of the alarmists in claiming the oceans were storing the missing heat and getting hotter and the technique of using Joules instead of temperature because graphs in Joules or energy content were more dramatic and alarming then graphs showing the almost non-existent equivalent in temperature. 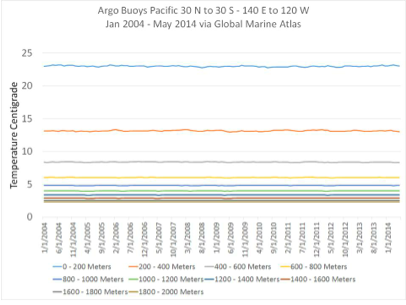 Some of the graphs shown were drawn by a commentator based on the ARGO flotation devices which have been employed since 2004 and give by far the most accurate measurements of ocean heat content [OHC] or temperature. 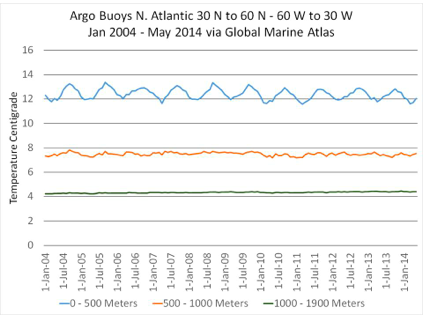 Even so the ARGO measurements are not without their accuracy problems as both Jo Nova and Willis Eschenbach show. 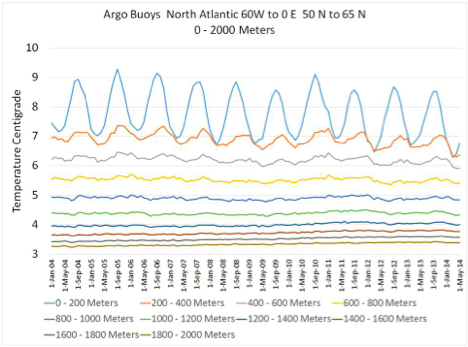 Argo buoys float and record the entire ocean as you can see from the black dots below. The areas seen below in yellow were plotted to determine if temperatures were rising. 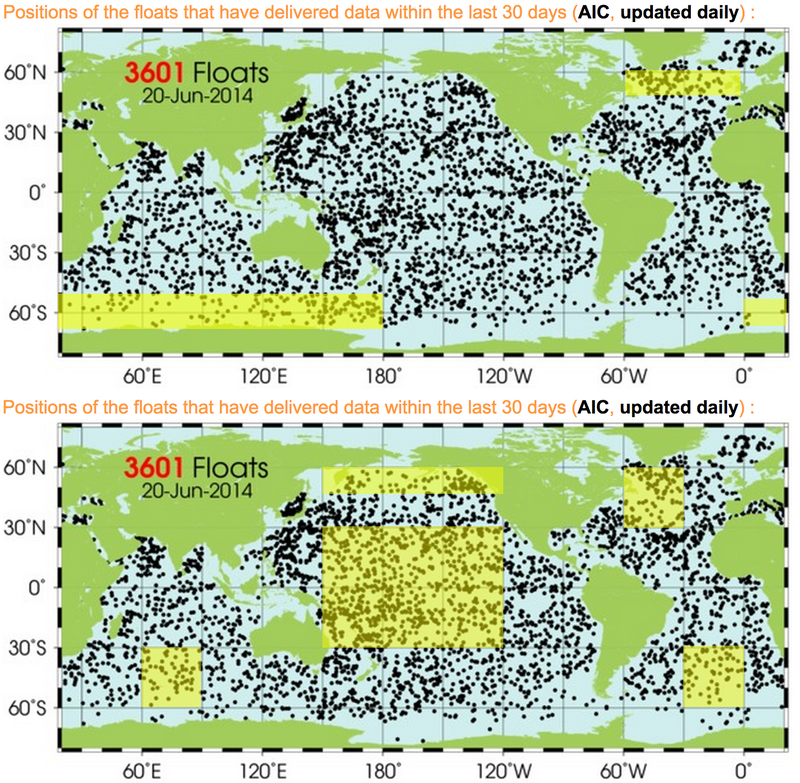 The North Atlantic and Pacific and Antarctic were of special interest since there are claims that these are warming more than the rest of the ocean. 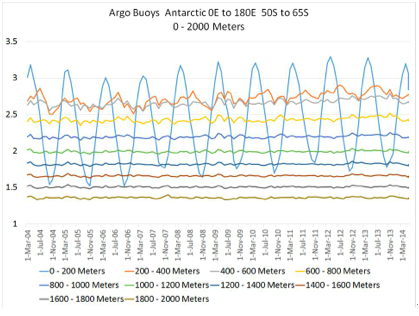 The locations of the buoys looks impressive as the following location graphs show but most of the oceans are unmeasured. 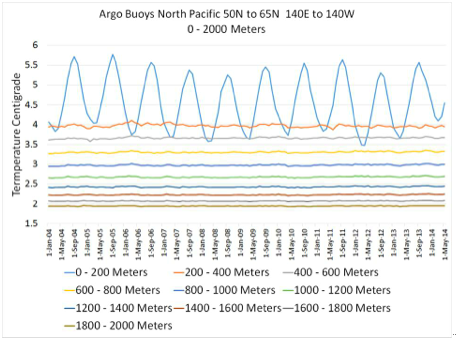 The graphs following show ARGO OHC measurements in temperature from the locations shown in yellow. 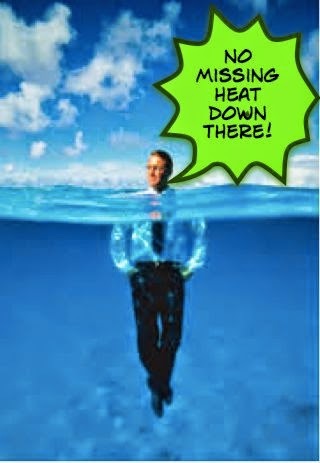 Again, we ask, where is the missing heat?